Get A Brand New Roof With The Best Roofing Contractor in Wahoo! Throughout Nebraska there is only one name that homeowners and business owners trust - Universal Roofing. That's because our team of roofing contractors is licensed, insured, and experienced to handle any sized roofing job. We set the highest expectations and standards for our contractors to ensure that your roofing project is in the best of hands. For the most part, a storm-related claim does not result in premium increases. Only your insurer and their field adjusters determine whether your damage is a storm loss or not. This avoids any possibility that the roofer can determine your claim's outcome. Your insurer alone decides. Why Choose Us For A Roofing Contractor Near Wahoo NE? When you need a new roof for your home or business, you need a contractor that you can trust. Someone that goes out of their way to get the best results on a project, period. That's where our team here at Universal Roofing comes into play! We take the time to carefully analyze your property to help ensure that you're receiving the best materials and work possible! 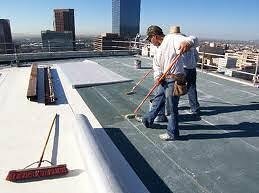 A Commercial Roofing Contractor in Wahoo That You Can Trust! "I am very happy with my new siding and gutters from Universal Roofing. They were professional at all times from the initial sale throughout the entire process. The siding makes our home look new again. Your crew did a great job cleaning up and completing the job on time." If you're looking for the best roofing contractor in Wahoo, then we'd love to hear from you! Our team of contractors is standing by to let you know how our roofing services can help your home or business with a brand new or repaired roof! We offer FREE estimates and proudly serve the greater Omaha area.